The Seahorse Fountain, located at Ward Parkway and Meyer Boulevard. The latter right-of-way was named after Kansas City's park and boulevard system pioneer August Meyer. Photo courtesy Kansas City, Missouri, Parks & Recreation Department. 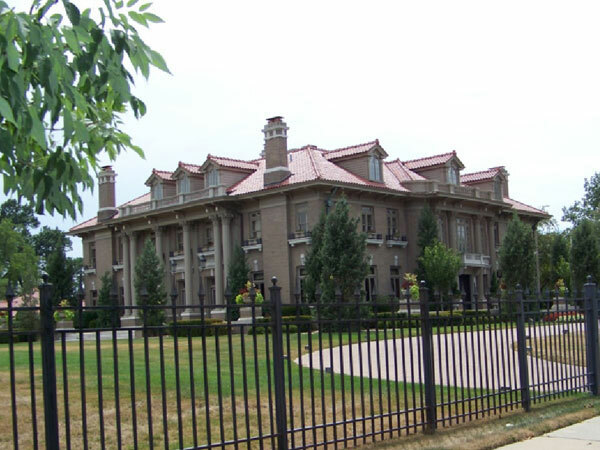 The Mack B. Nelson mansion is one of the earliest examples of opulence built along Ward Parkway. Nelson, a lumber magnate who moved to Kansas City in 1894, built the house in 1914. 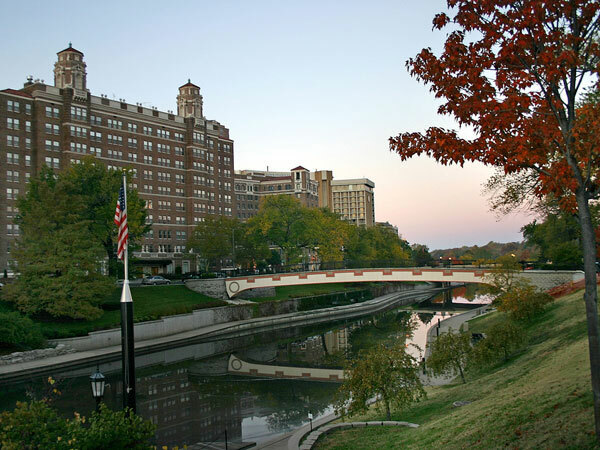 Photo courtesy Kansas City, Missouri, Parks & Recreation Department. 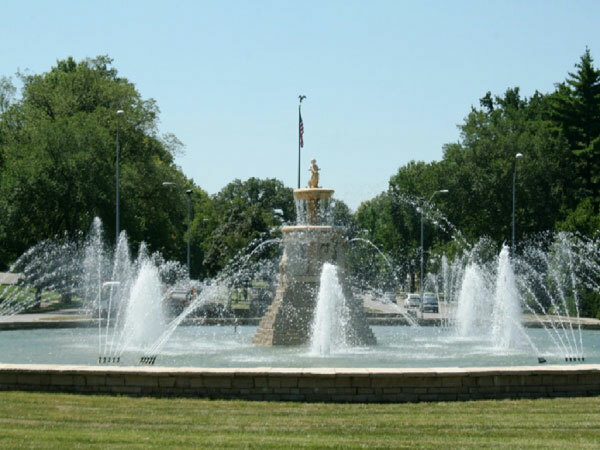 Ward Parkway begins at The Country Club Plaza, a feature that has made it one of the most desirable addresses in the area. A median allows pedestrians to reach other amenities while enjoying a peaceful stroll over the creeks that divide the parkway. Flickr photo by ChrisM70 (CC BY-NC-ND 2.0).